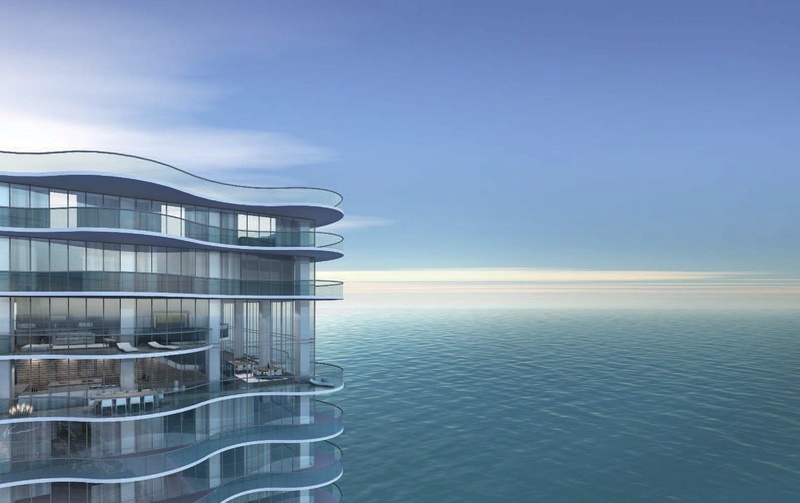 With only ONE luxury residence per floor, the oceanfront Regalia Condominium in Sunny Isles Beach (also known as Regalia Miami condominium) is a one-of-a-kind oceanfront condominium residences that is destined to be one of the finest and most sought after oceanfront residences in all of South Florida. 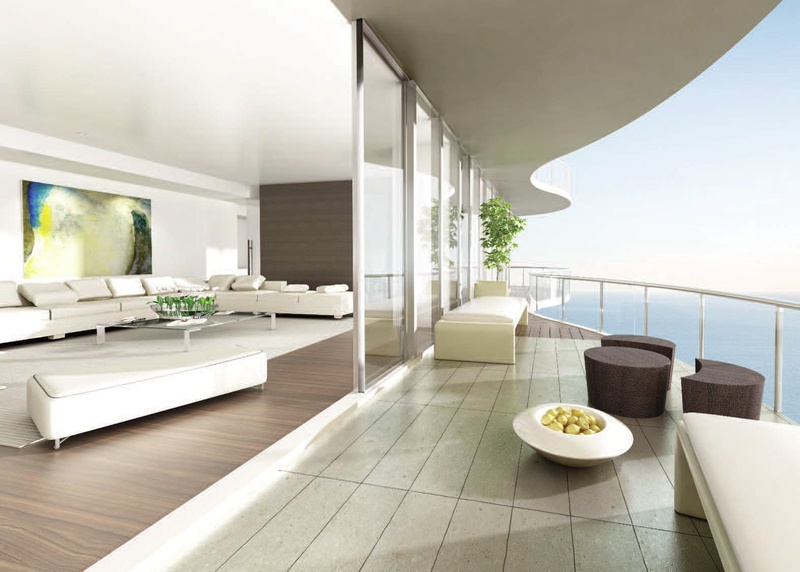 The 39 Regalia residences feature unobstructed 360 degree views of the Atlantic Ocean, Intracoastal Waterway and all of South Florida from the floor to ceilings windows and 360 degree 10 foot deep wrap-around terrace that surrounds your entire condominium residence. 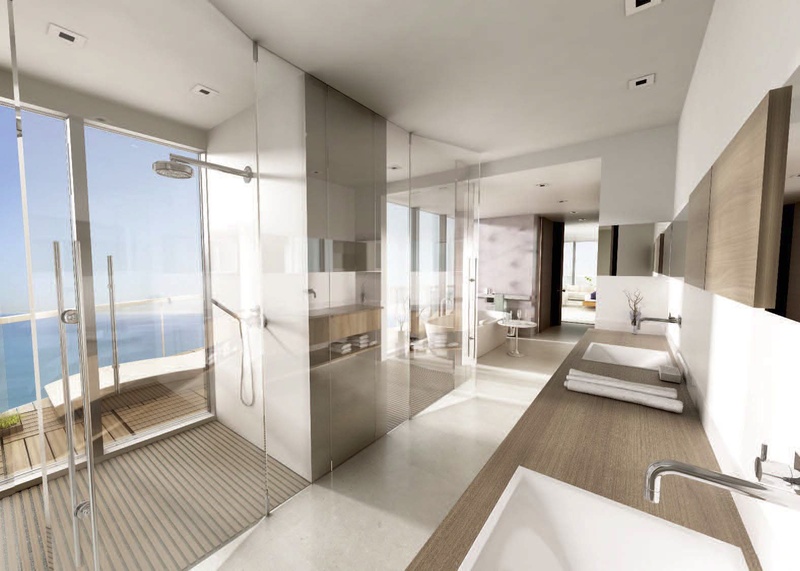 Enjoy sunrises over the ocean and evening golden sunset views over the Intracoastal Waterway each and every day from your luxury condominium home at The Regalia Miami. 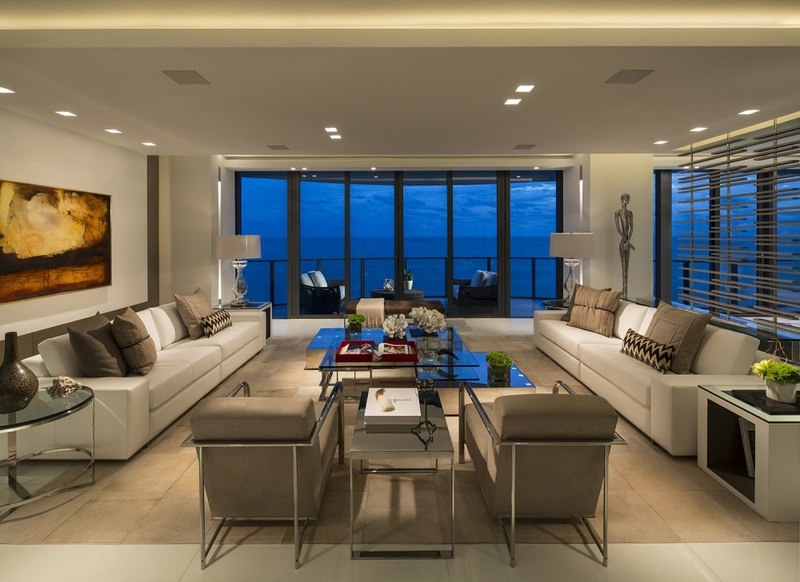 This architectural masterpiece epitomizes gracious and luxurious living on the ocean's edge. 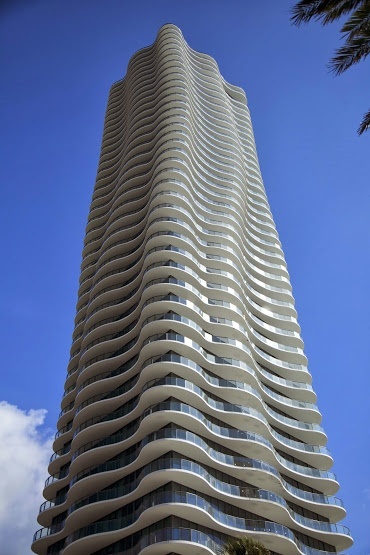 The unique flowing "organic" shape of this 47 story condominium tower appears to have been shaped by the ocean waves and wind - A truly unique and captivating design - The Regalia Miami is a work of art, in it's own right. The 10-foot deep 360 degree wrap-around terrace surrounding every luxury residence allows the natural light to enter from all sides and brighten to the center of your home. 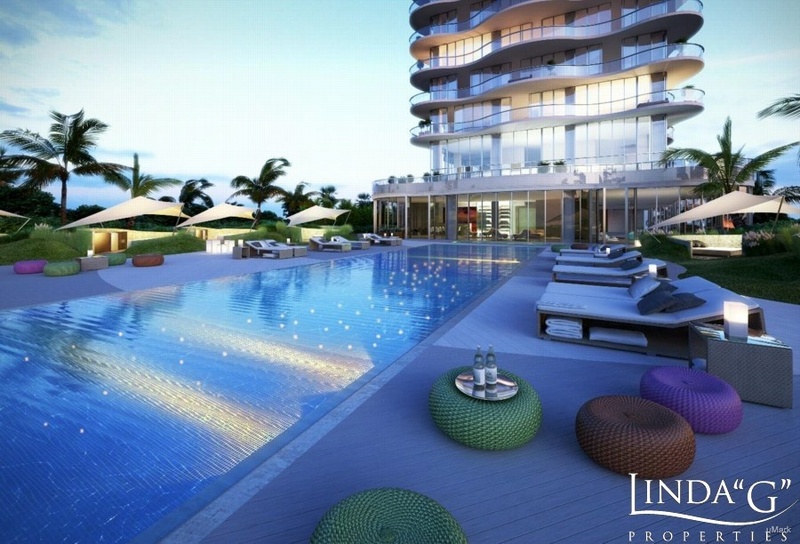 A VERY unique opportunity for new construction purchasers at The Regalia Miami is the option to purchase your residence as a shell, allowing you to create your very own unique floorplan. 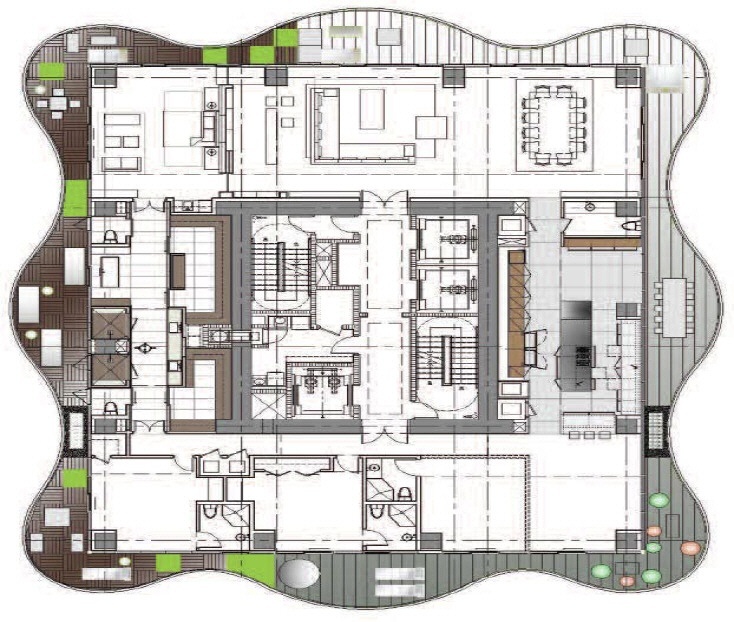 Or the developer can provide a number of suggested floorplans. 3rd thru 42nd Floor - Multi-story and single-story full-floor 5,515 square foot under air luxury condo residences with 4 Bedrooms and 5.5 Baths and 2,100 square feet of wrap-around terrace. The lower floors include the Regalia Beach House - A two-story full floor 9,915 square foot under air luxury oceanfront residence with 8 Bedrooms and 9.5 Baths and 6,500 square feet of terraces with private plunge pool and Jacuzzi. 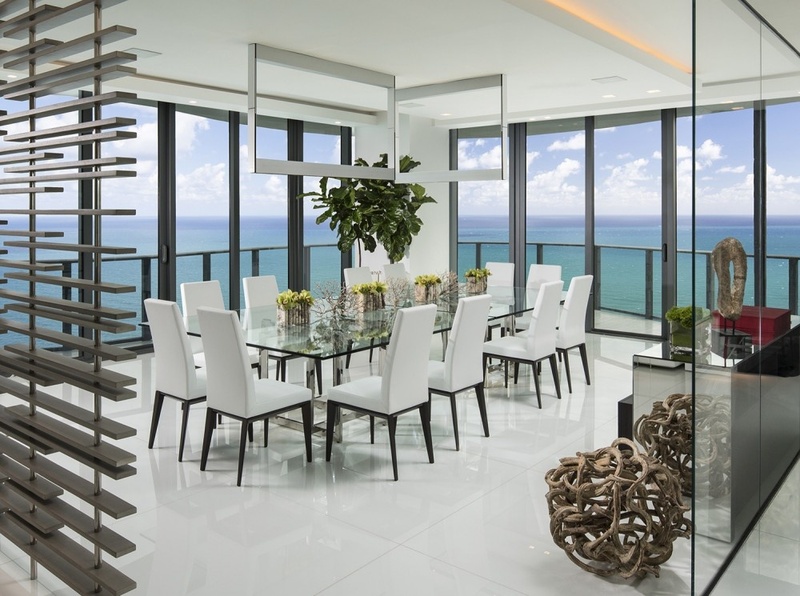 43rd thru 47th Floors - The Multi-story Regalia Penthouse - A four-story full floor 10,447 square foot under air residence with 9 Bedrooms and 10.5 Baths and 8,857 square feet of wrap-around terraces and private terrace complete with rooftop pool, sun deck and personal spa. 2015 UPDATE - Ocean Home Magazine named Regalia the Best Residential Development 2015 Platinum List Winner. 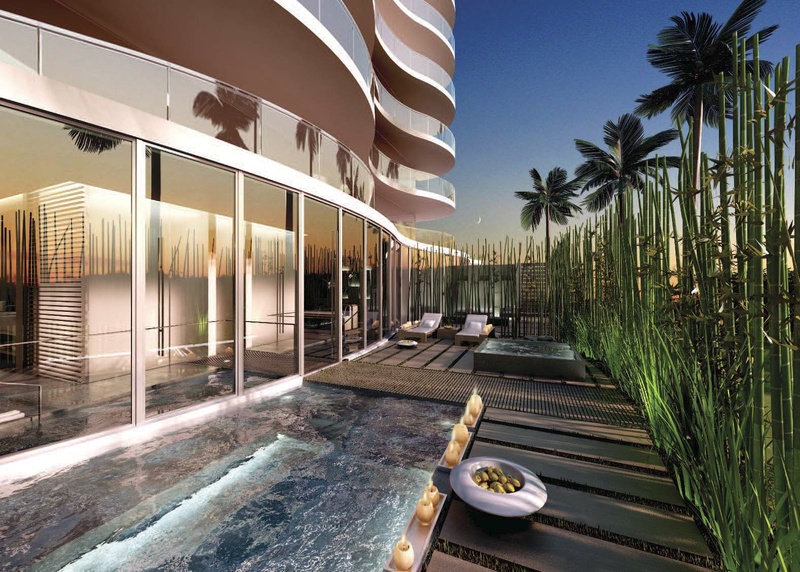 Internationally celebrated glass sculptor Dale Chihuly has been commissioned to bring his vision and art to the Regalia condominium property where he will create numerous pieces for the public areas. 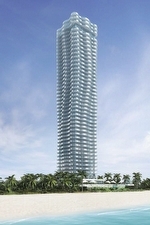 The Regalia Miami construction broke ground in November of 2011. Top-off was completed in July of 2013 and completion with the official opening occurred in June of 2014. 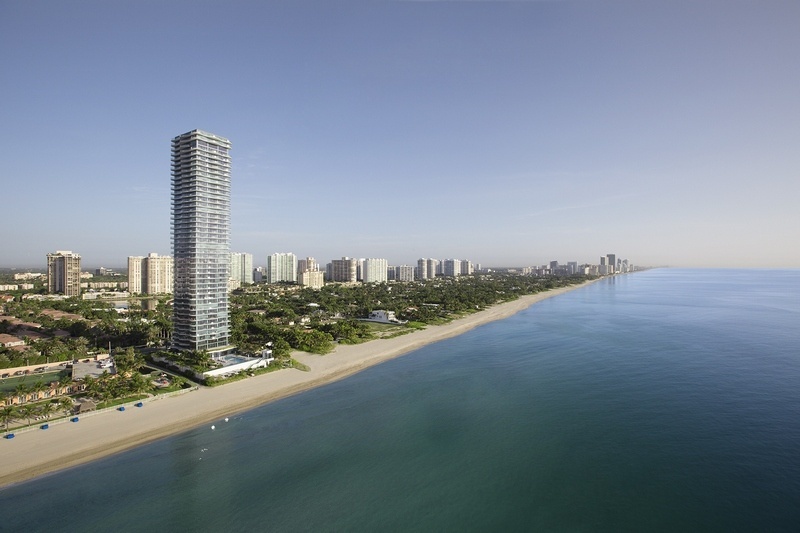 The Regalia Miami condominium is set on the last lot at the northern edge of Sunny Isles Beach and as such, the beautiful ocean, Intracoastal Waterway and coastline views to the north over Golden Beach will never be blocked by any future hi-rise developments, as Golden Beach only allows single family homes and no commercial developments of any kind. The views to the east, west and south are, as you would expect, beautiful and breathtaking. 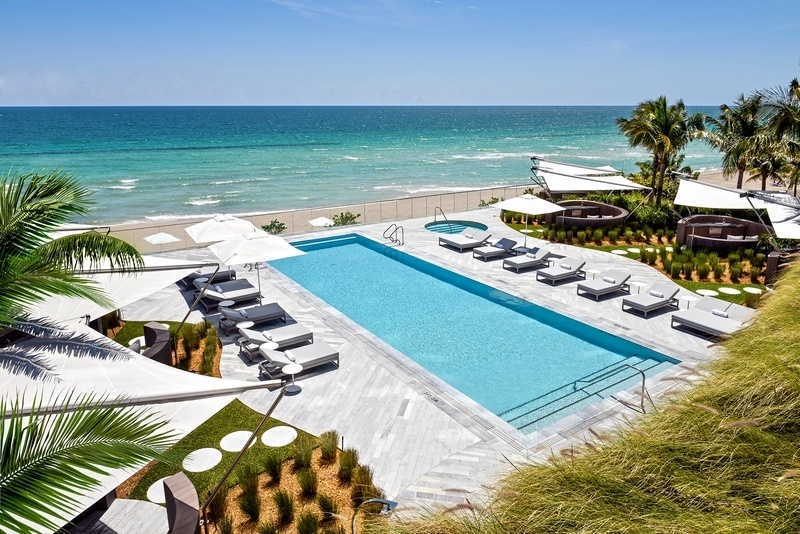 The views are all shown in the Regalia Miami photo slideshow at the top of this page. The Mansions at Acqualina - Opened early 2016. The Porsche Design Tower - Opened early 2017. The Chateau Beach Residences - Completed in Mid 2015 and opened at end of 2015. 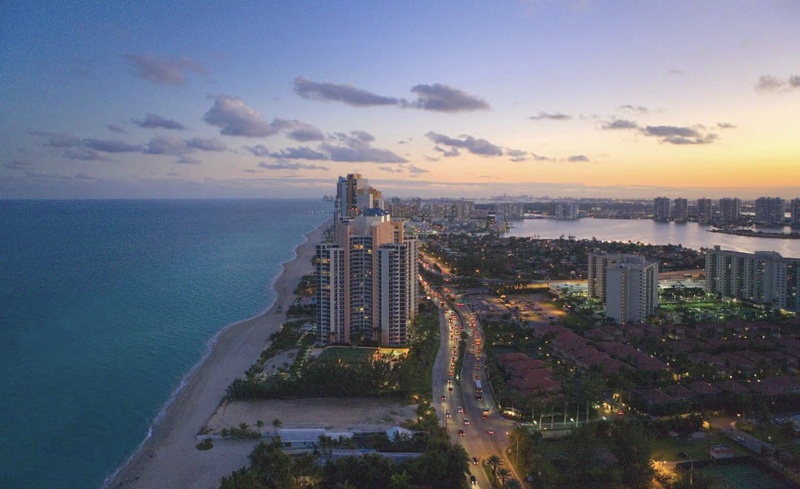 400 Sunny Isles - Opened 2015. 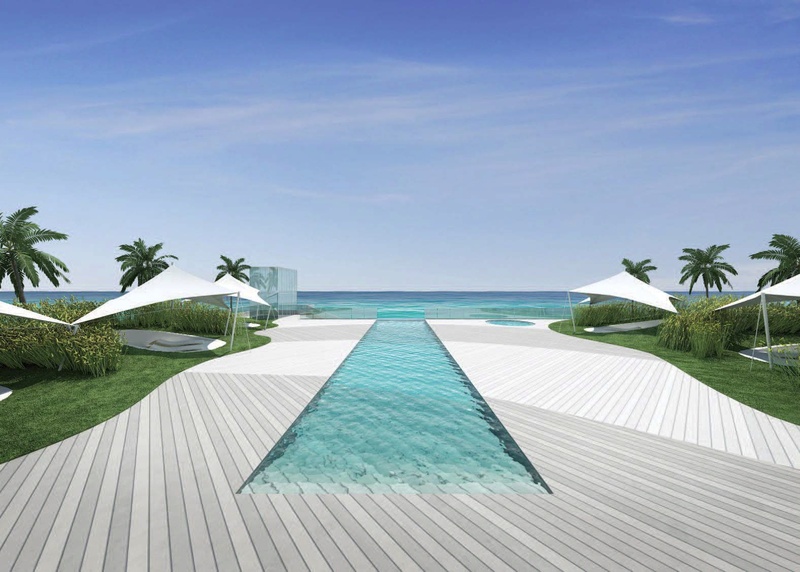 Jade Signature - Construction began Aug 2013 - Opened early 2018. MUSE Condominium - Broke ground in 2015 - Opened June 2018. 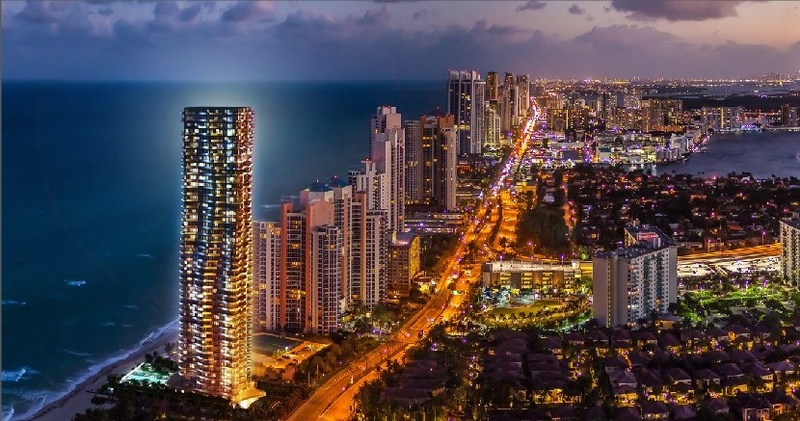 The Armani CASA Residences Miami - "Topped-off" Summer 2018. Opening scheduled for September 2019. 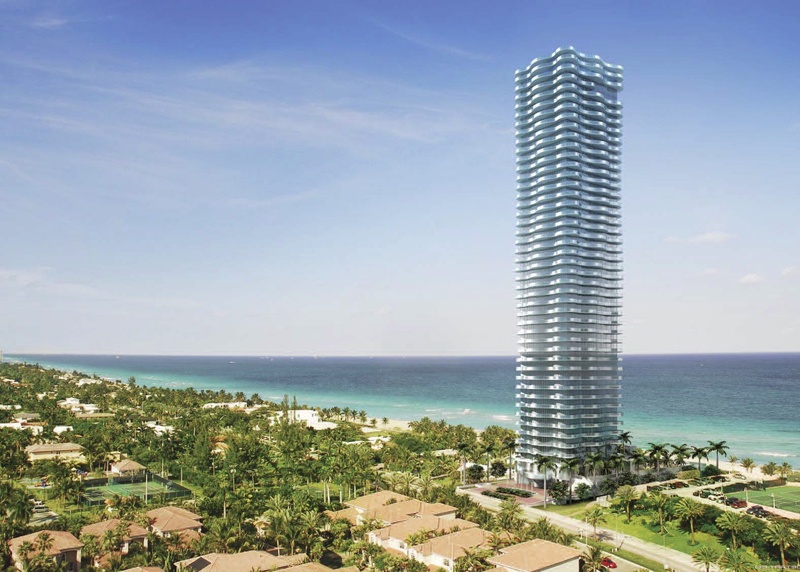 Turnberry Ocean Club - Reservations & sales began fall 2014 - Broke ground in 2015 - Over 1/2 completed as of fall 2018. Projected completion in late 2019. Ritz-Carlton Residences Sunny Isles Beach - Broke ground 2015. "Top-off" scheduled fall of 2018. Completion and OPENING summer 2019. 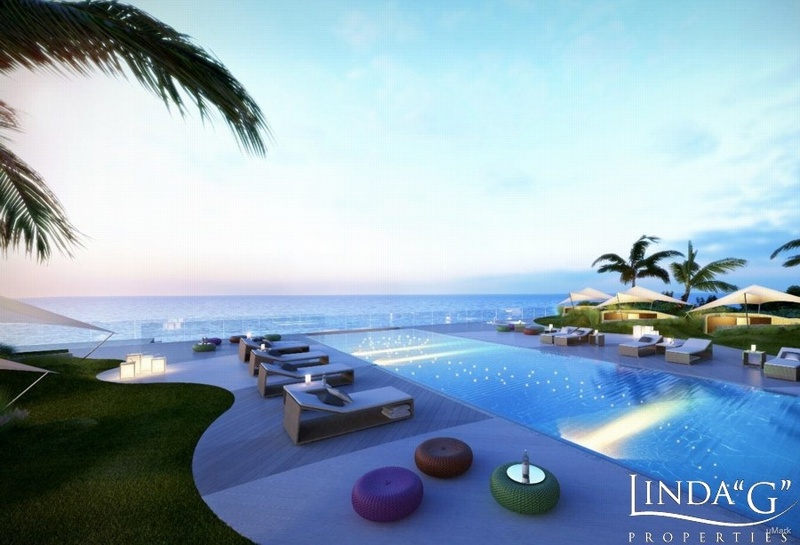 Estates at Acqualina - Broke ground 2016. South Tower vertical construction ongoing. Scheduled completion late 2019 with opening in 2020. The Regalia Beach House boasts two levels of luxury living on the 3rd and 4th floor and spanning 9,915 square feet of interior under air space with 8 bedrooms and 9.5 baths. 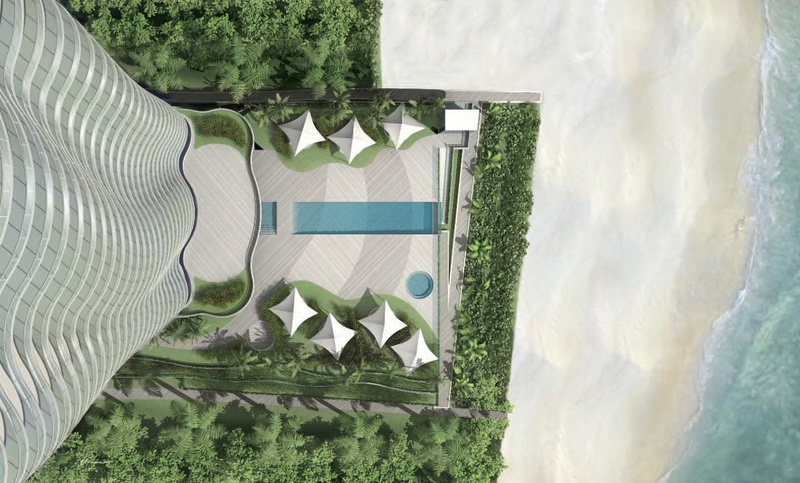 An additional private terrace of 6,500 square feet with a luxurious plunge pool, Jacuzzi and personal spa. Please note: The floor plan can be customized to your specifications. Regalia Penthouse Description - Designed and finished by Charles Allem. 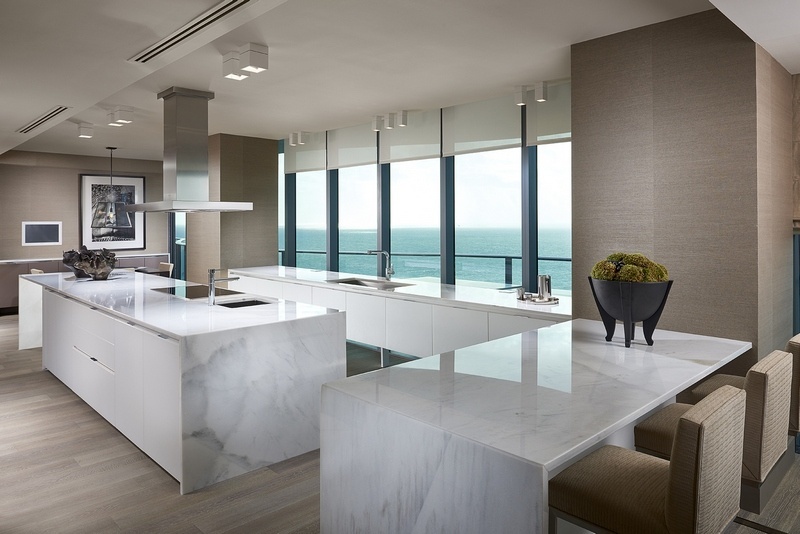 The Regalia Penthouse boasts four levels of luxury living from the 43rd to 46th floors and spanning 10,447 square feet of interior under air space with an additional 8,857 square feet of terraces and rooftop. 44th Floor – Second Level: 4,088 sq. ft. interior under air space with a 10 foot high ceiling and a translucent glass Elevator in the South West Corner which travels up to the 45th and 46th Floors including providing access to 1,352 sq. ft. of rooftop terrace. 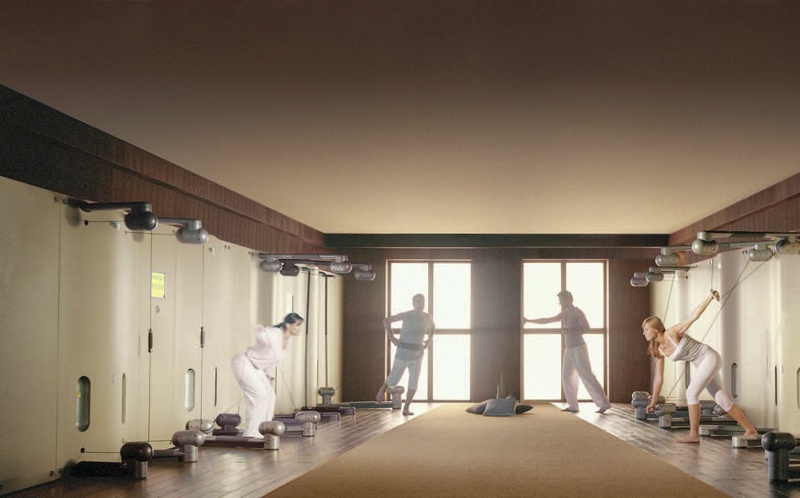 45th Floor – Third Level: Private Gym and Storage Room, 800 sq. ft. of interior under air space and 74 sq. 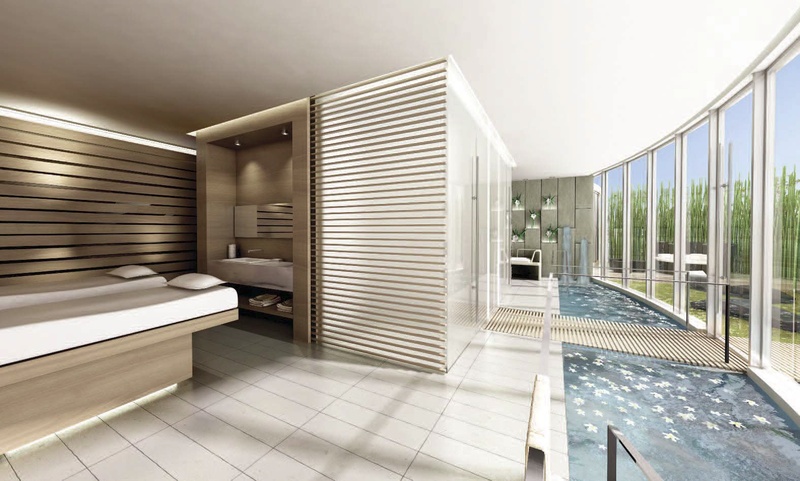 ft. of interior glass Elevator with 2,180 sq. ft. of wrap-around terrace. 46th Floor – Fourth Level: Private Roof Top Pool with Deck – Pool is approximately 28 feet long with an additional 2,180 sq. ft. of wrap around terrace and 782 sq. ft. of roof top sundeck. The rooftop also features a 183 sq. ft. covered porch with a summer kitchen and bath. 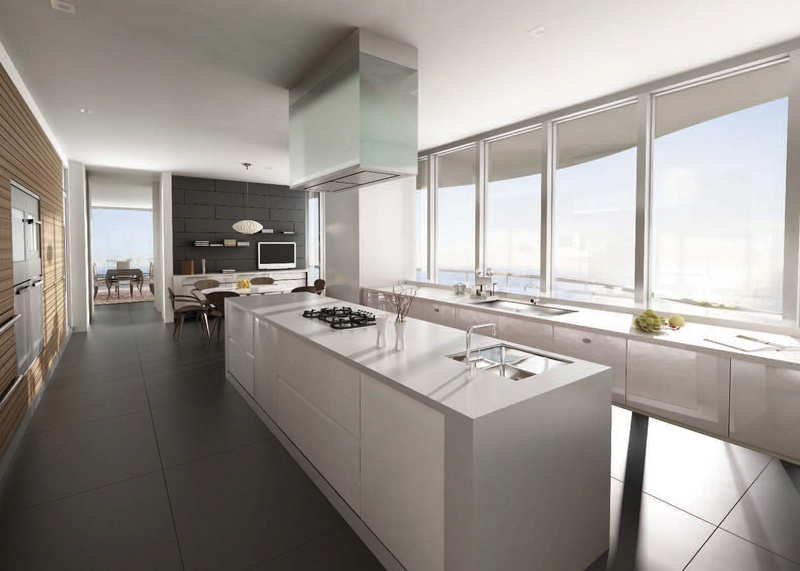 A very unique opportunity for preconstruction purchasers at The Regalia Miami condominium is the option to purchase your unit as a shell allowing you to create your own unique floorplan. Or the developer can provide suggested floorplans.